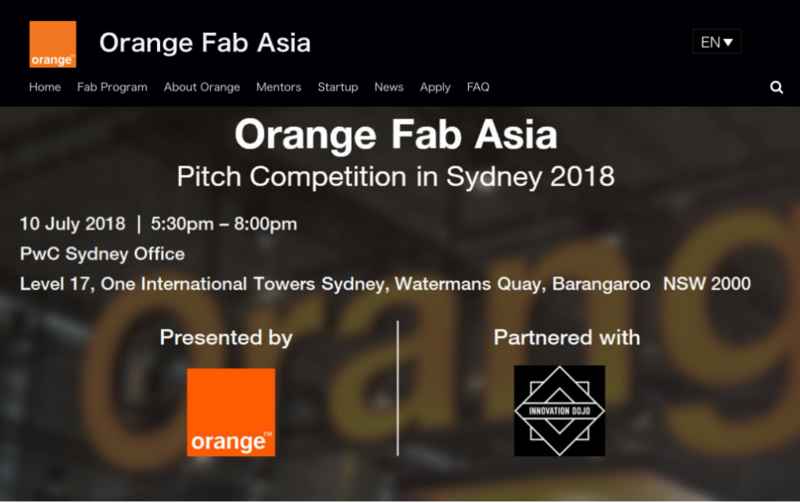 This Tuesday night at PwC’s offices in Barangaroo, Sydney, 11 Aussie startups pitched in the Orange Fab Asia X Innovation Dojo “Pitch for Tokyo” challenge. The spotlight isn’t often on Japan as a destination for Aussie startups to scale into despite recent successes of Australian energy tech startup Power Ledger that in April this year signed a multi-million dollar deal to trial their peer-to-peer energy trading platform with Japanese utility Kansai Electric Power Co. (KEPCO) in Osaka and the ongoing success of Tokyo based Australian Paul Chapman, who co-founded MoneyTree and attracted partnerships and investments from Japans largest financial institutions. You can download whole report click here. What would your startup be capable of if it partnered with a company with a global customer base of 273 million? How much revenues could your startup do if you were operating in a country that buys $45 Billion worth of Australian products and services each year? We are very proud to announce “Pitch for Tokyo!” a competition for for startups with a desire to explore global markets, starting with Japan. This is a partnership between Innovation Dojo and Orange Fab Asia, part of the Orange group. Orange group are a global leader in corporate telecommunication services with 273 million customers worldwide and Japan is Australias’ second largest 2-way trade partner – the Japanese paid for $45 Billion worth of Australian products and services last year. 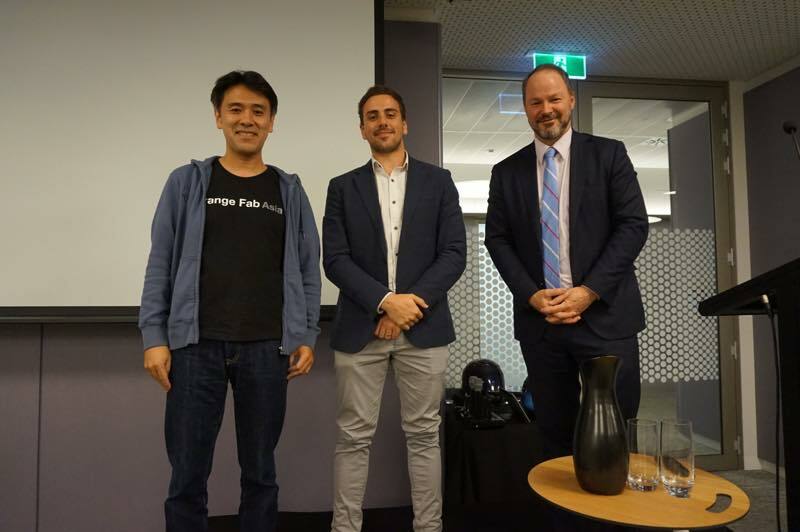 Winning applicants in Australia will receive financial support ($2,000) to travel to Tokyo to attend our Demo Day and ultimately have the opportunity to win an invitation to Viva Technology 2019 held in Paris. These days the term ‘hackathon’ can mean many things. More recently the term has been used to describe a style of program which can be best described as a “mini-accelerator program”, with the same lean and business model canvas tool playing a central role in essentially creating a number of potential new startup teams that pitch at a demo day style event at the end of the program. Somewhat similar to the Startup Weekend style of programs. The original hackathons were very different, and instead of focusing on building a potential startup and acquiring entrepreneurial soft skills, they were typically focused on “building something usable”, be it a software or another technology and rather than teams with mixed backgrounds and skill sets pitching a potential business concept, primarily computer science students and software developers would participate with a view of creating something that works within the few days and presenting the prototype instead of a polished pitch. 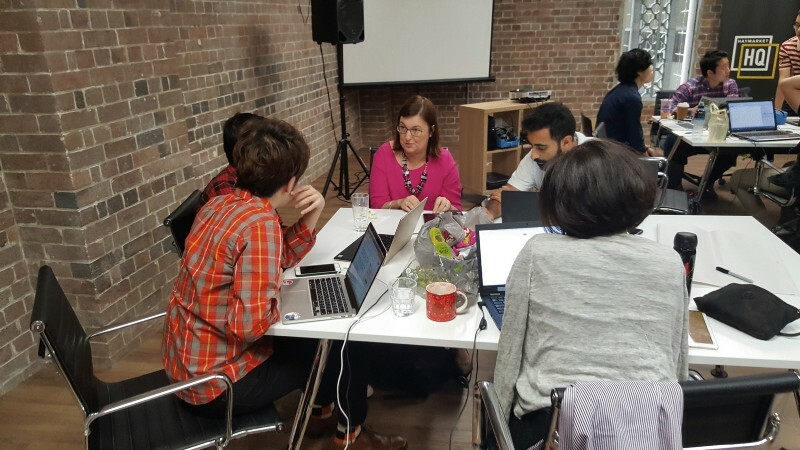 Our latest program at Innovation Dojo has developed yet another take on the hackathon format — enter the Dojo Health Hackathon. 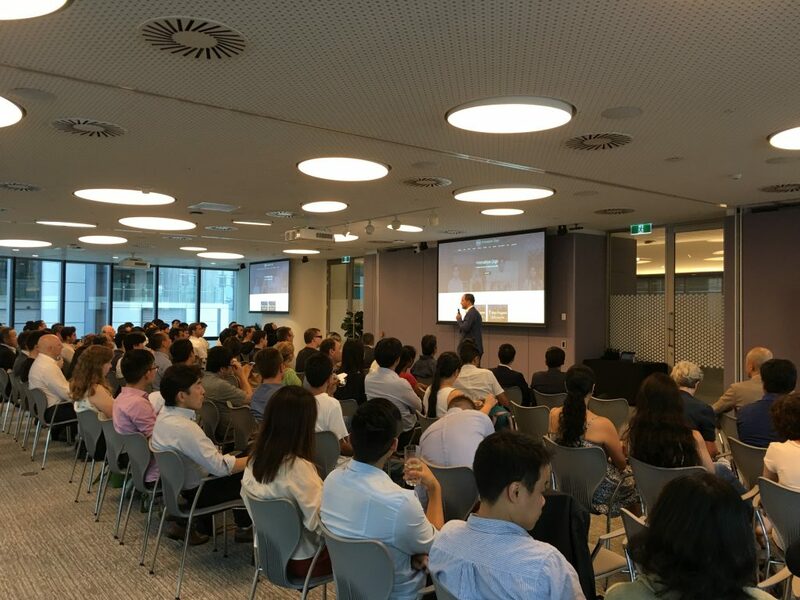 Tuesday night saw the second cohort of Innovation Dojo pitch to a packed house within the stunning level 17 space of PwC Australia at Barangaroo this week. 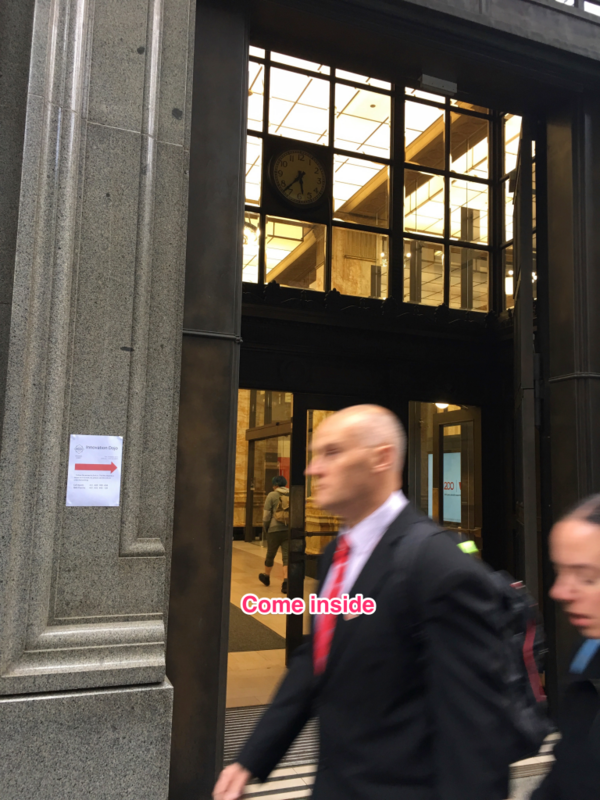 It was a much different night from that of one year ago, with volume of community members, program style, partnerships and new elements of the program all ramping up this time around. PwC Partner and lead on the Asia business for PwC, Jason Hayes, opened the night with a reminder to some and a revelation to others on just how well placed Japan is as an innovation partner to Australia, outlining some of the lesser known facts including that Japan is Australia’s 2nd largest source of foreign direct investment, only behind the US as of 2017. This is first time for InnovationDojo start Innovation Dojo night, our first speaker will be VR startup – V-Kaiwa. They will talk about their product and VR technology/coding & latest VR industry status. V-KAIWA is a virtual reality language learning startup. They contextualise lesson plans through an immersive virtual reality environment. The teacher and students are placed in different scenarios to facilitate learning – for example, in a restaurant or on a safari. 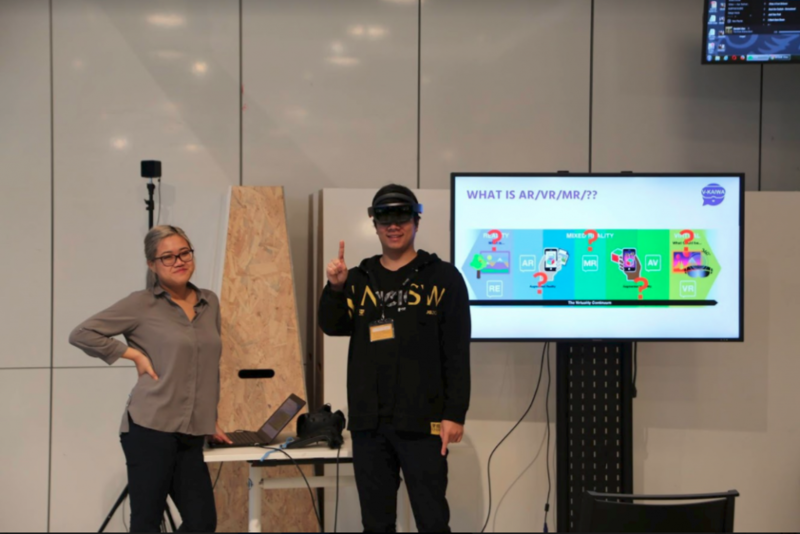 To break it down – V-KAIWA is a combination of Virtual Reality and the Japanese word for communication which is “KAIWA”. So they connect you to a different language and help you learn how to converse in a totally new way. 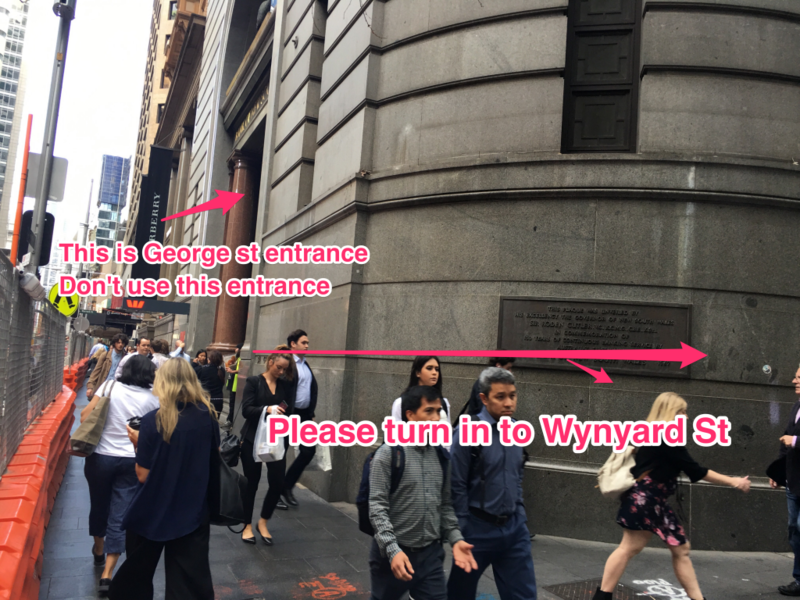 Thank you for coming Innovation Dojo Info Night @Atlassian – 2017!  If you want to find out more about the Innovation Dojo program in December 2017, please visit the information page on this page. We’ll be announcing more details and meetups in the lead up to the program so watch this space! 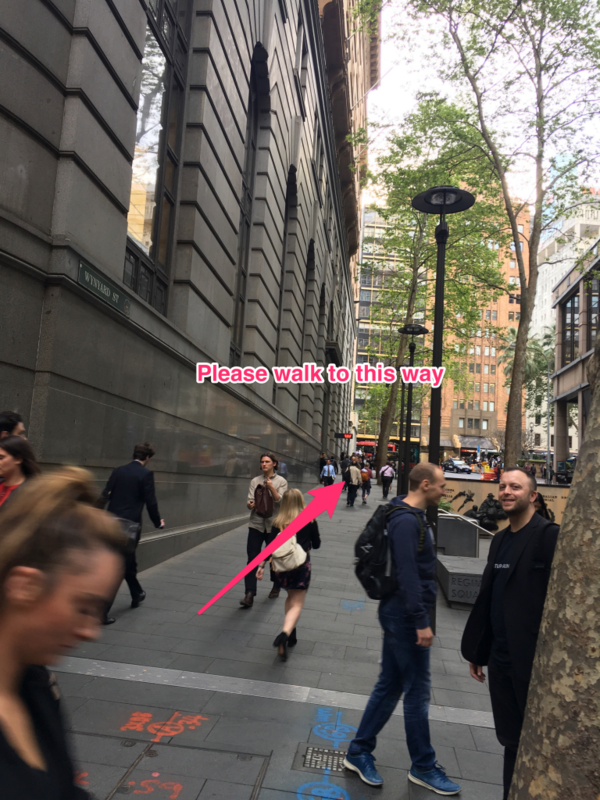 Please join our meetup group (or facebook?) and we’ll keep you updated. Thanks for attending and we hope to see you again! 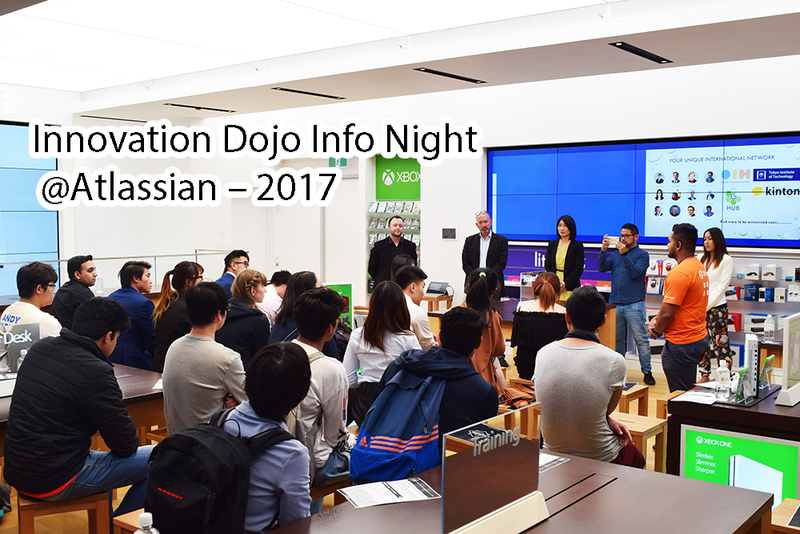 We will be holding the official Info Night for the next Innovation Dojo Program, which will run from December 11th – 19th this year. • Solving big problems common to Australia and Japan like ageing population, technology for agriculture efficiency, cybersecurity and translation and localisation of services before the Tokyo Olympics! • Be part of a new startup with built-in international scaling capability! Over 9 full days from December 11th – 19th you will work with hipsters, hackers and hustlers from both Japan and Australia will create new startups with a view of launching in both Australia and Japan. This is your last chance to meet with the Innovation Dojo team to hear details about the goals, people and program that is Innovation Dojo! 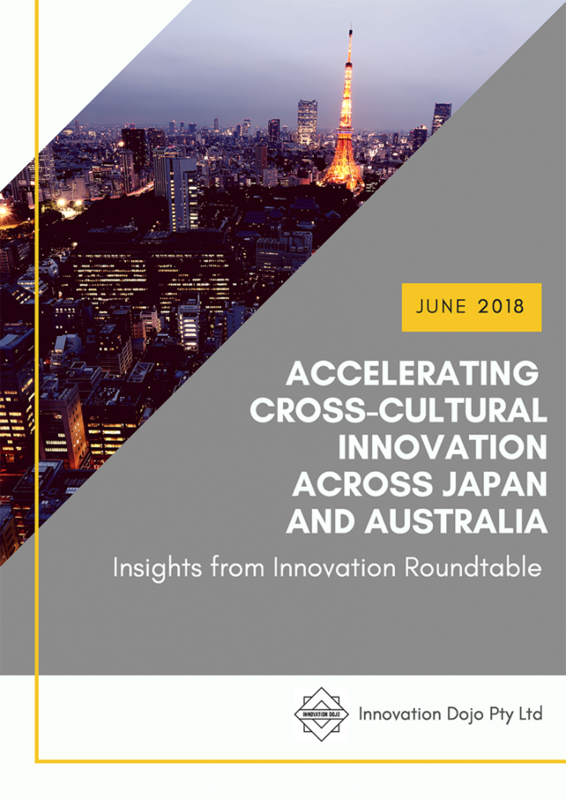 Hear from program mentors, network with fellow innovators interested in where innovation across Japan and the Asia Pacific and how you can be a part of a new startup project that solves the big problems shared by Australia and Japan. Already know you want to be a part of the program? Interested in attending the info night? Welcome Tomoyuki Hachigo to InnovationDojo team! Thank you to everyone that expressed interest and applied for the position we advertised a month or so ago to join our Innovation Dojo team. We had some very high standard applicants and I’m happy to announce that Tomoyuki Hachigo has joined Kaoru, Ayumi and I as the 4th Innovation Dojo team member as of today! 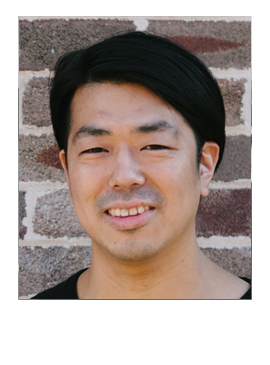 Tomo is a completely bilingual lawyer and entrepreneur, with over 7 years experience as a lawyer and in the legal tech space with Clayton Utz where he worked closely with Japanese and Australian clients and colleagues. More recently, he co-founded sprintlaw, a startup providing cloud based legal services for small businesses and entrepreneurs. Tomo brings a new level of depth to the skills and capability of our core team and we look forward to bringing you bigger, better and more from Innovation Dojo from this day forward – welcome Tomo!! 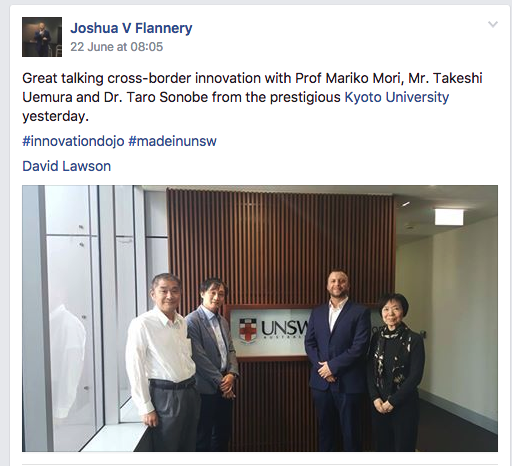 Great talking cross-border innovation with Prof Mariko Mori, Mr. Takeshi Uemura and Dr. Taro Sonobe from the prestigious Kyoto University yesterday.